Home / Ask the Expert / What’s A Mother Of The Bride Or Groom To Wear? What’s A Mother Of The Bride Or Groom To Wear? Nowadays, the role of the mother of the bride is changing. 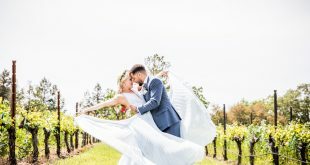 She is a fashionable woman who not only wants to express her personal style at her daughter’s wedding, she wants to make a fashion statement, feel comfortable, and shine like the star that she is on this special day. 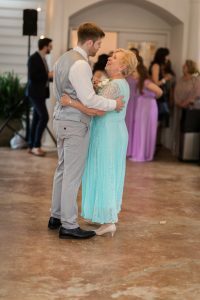 Mothers (of the bride OR groom) are cherished guests of honor and often hosts of a wedding. They are NOT required to wear dresses to match or coordinate exactly with the bridesmaids! The mother of the bride no longer has to wear a gown that sweeps the ground. Now, more than ever before, the mother of the bride is free to try different lengths. Wide varieties of hemlines are definitely available! The key is to select a length that feels both appropriate and comfortable. Traditionally, the mothers of the bride and groom coordinate their dress lengths. They are not required to copy the length selected by the bridesmaids, however. Mothers should not be afraid to have fun with color! Style consultants at a full-service boutique are always happy to assist mothers in selecting just the right color to compliment her features. Mothers are not required to match the wedding party (they are not senior bridesmaids!) but they should wear flattering tones that complement the overall look of the big day. Mothers are also free to select any type of fabric; they are not obligated to wear taffeta or satin just because the wedding party has selected that material. 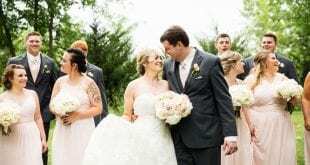 People often expect to see lace on the bride’s dress, but a huge trend (thanks in part to Kate Middleton) is for the mother of the bride to wear dresses with lace accents as well. A simple dress with a lace jacket or lace sleeves can be both stunning and appropriate. Other moms may choose to wear a flow-y chiffon gown, or a short satin cocktail dress. It is all up to the mothers! 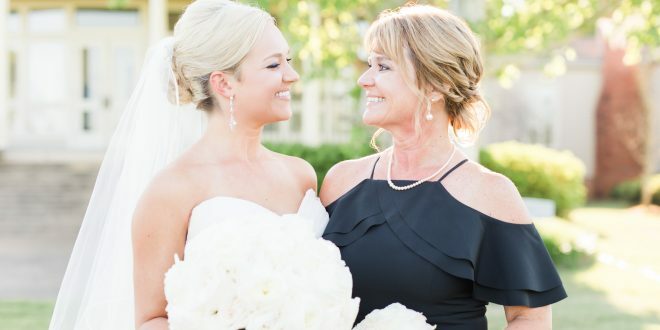 The mother of the bride can wear a strapless dress, a halter, or any other type of neckline she chooses. Mothers should feel perfectly comfortable wearing the styles they love! Jackets and wraps are options, but not required! The mother of the bride should be elegant and fashionable at her daughter’s wedding, and she should always express her true self! When shopping, mothers are often unaware of how long it can sometimes take to order a dress and have it expertly altered. Here is a quick timeline for the moms! type of dress will fit best your body type and flatter your skin tone.